Already a big fan of Natasha Solomons, I couldn't wait to read her latest novel - hoping against hope that it would be just as good as 'Mr Rosenblum's List', or 'The Novel in the Viola'. Was I disappointed? Well, 'The Gallery of Vanished Husbands' is a novel that follows the life of 30 year old Juliet Montague; mother of two, Leonard and Freida, and the wife of 'vanished husband', George. The latter left home on her birthday, and hasn't been seen in seven years. She is just tolerated by the tight-nit, conservative Jewish community in a small village in England, where she lives, because she is an 'aguna': a woman whose husband has abandoned her. She has to live as a living widow, because she is neither divorced, nor single. To make matters worse, her husband was a known gambler and thief; local gossip claims that she 'could not keep a man', and even her mother begins to feel guilty that they brought shame to the family by allowing her to marry a stranger, and not one of the usual local, 'nice boys'. 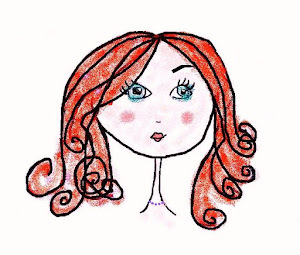 But Juliet feels no such guilt, and actually enjoys doing things her own way. As such, she is a very likable character. And when she fritters away her savings for the family fridge on a portrait of herself by a handsome, young artist, and complete stranger, we cheer her on, despite what the neighbours might think. But what about the book in general? Is it a good read? Well, to start with, I thought that the structure of this book was very clever; it reads like a gallery catalog; each chapter beginning with a painting, listed as it would be in an art exhibition. The ensuing chapter then deals with that painting and how it came about. The down-side of this formalized technique is that each painting must be contrived to fit into the story and, at times, I thought that the story and life of the characters became a little stifled as a result. I wanted to stay with Max and Juliet in the cottage in the woods, but things move on quite quickly in this book - there is always another painting to be introduced and explained - and so, alas, we had to leave them behind too soon. All the male characters abandon Juliet at some point in the book: George, Leonard, Max and even Charlie. The only exception is Mr Green, Juliet's adoring father. In this way, this is a book about fathers too: the good father, Mr Green - who is always happy to see Juliet and has a special smile just for her, and George, the bad father - who loves gambling more than his children, and cannot seem to give himself wholly to fatherhood. 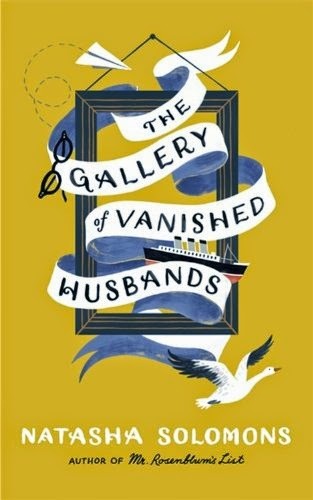 Indeed, the title refers to a newspaper column in an American newspaper, looking for men who have all abandoned their wives back in Europe' The Gallery of Vanished Husbands'. Once again, as in her other books, 'The Novel in the Viola' and 'Mr Rosenblum's List', Solomons uses traumatic periods in human history, in this case the end of World War Two, to add drama to the plot. It is the war that brings Bulgarian refugee George to England in the first place; a stranger who makes the older women anxious and the younger ones swoon. |But there is another gallery in the book, not just the one of book's title, and that is the gallery of Juliet's portraits. One might be excused for wondering about Juliet's slightly self-absorbed, quasi-narcissistic, obsession with her painted self. What must it have been like for her children to grow-up surrounded by an ever-multiplying collection of their mother's image, gazing at them from every available wall space in their average-sized home? Perhaps this accounts for Freida's, at times, strained relationship with her mother. Indeed, the narrator explains it best at the the beginning of the book when she says, 'Juliet Montague wanted to be seen'. And, it is true, identity, is another key theme in this novel. Juliet is constantly dealing with the expectations placed on her by the conservative Jewish community that she belongs to; her parents; her children; her friends, and even herself. But more than anything she has to deal with the fact that she is a wife, yet not a wife; not a divorcee nor a widow. The reason why Juliet is so upset with her husband for stealing the portrait of her, is because he has stolen her identity, her sense of self, her position in society. In addition, he has made her an aguna - a living widow - someone who is not free to marry another, but not a socially acceptable married woman either. She is a persona non grata, so George has, in fact, stolen her identity, making him truly the thief everyone knew him to be. As in real life, we must deal with how our identity changes as we grow older, and in a way, this is what Solomons cleverly comes to terms with in this, her third novel. My one wish for this novel is that it came with a collection of paintings or illustrations. (Ok - I realise that this is quite an outlandish ask and nigh on impossible - but it could happen!!?) It seems a little hard that in a novel filled with many references to portraits of Juliet, there would not even be one for us one to look at. But I suppose, that is what the imagination is for. Read this book - buy it for your friends - you won't be disappointed!